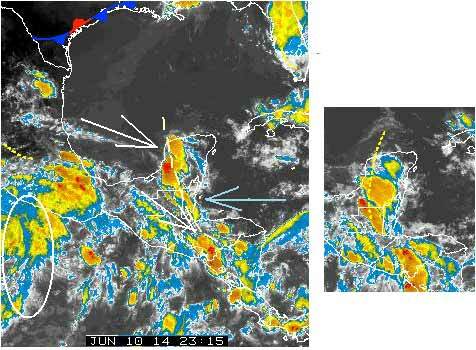 Belize NMS: Conditions will become a bit more moist and unstable tonight. 24-hour forecast: Cloudy at times today with only isolated showers or thunderstorms. Mostly cloudy tonight with a few showers or thunderstorms mainly over the south and some coastal areas. Today: Winds: E-SE 10-20 kts. Seas: Choppy - moderate. Waves: 3-5 ft. Isolated showers. Tomorrow: Winds: E-SE 10-20 kts. Seas: Choppy - moderate. Waves: 3-5 ft. A few showers or thunderstorms. Marine Outlook: Winds: E-SE 10-20 kts. Seas: Choppy - moderate. Waves: 3-5 ft. A few showers or thunderstorms. General Outlook: (Wed & Wed night) Generally cloudy with a few showers or thunderstorms over most areas. 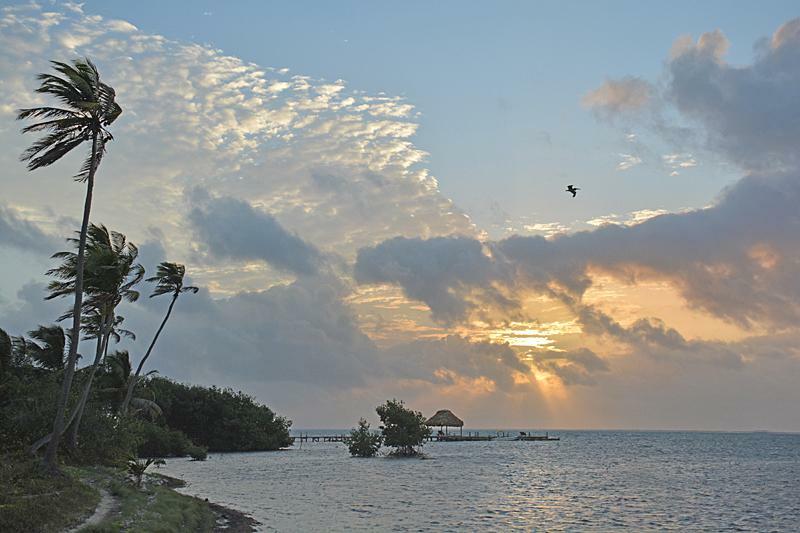 On Ambergris Caye this morning the wind is from the ESE at 10 mph and our expected high is 87. 7am High cloud & Blue sky, Sun now showing.. . .. .Very little rain showing on the Radar and that way over west of Belize, one or two small showers in Belize.. . ... . . The Satellite is showing clearer weather over Belize, but there appears to be a rotation in the Pacific off Mexico, which will not directly effect us, but it might be contributing to our clearer skies today. There is a steady movement of high cloud from Africa. . . .Despite the words in that http://ralphstropicalweather.homestead.com/RalphTropicalWeatherOut.html I am not seeing any wave formation or concern at this time. Tropical Storm Christina is now located at 15.5N by 103.4W. A band of Thunder Showers formed from northwest to southeast across Belize between Belmopan and San Ignacio. Belmopan itself received only a trace of rain. 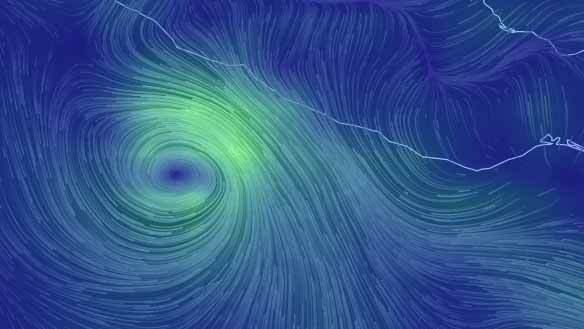 This could be the result of one of the rain bands thrown off from Christina. Once again all the weather activity seems to be over on the Pacific side of Central America. The Caribbean side is showing little activity. I was on Burns Ave in San Ignacio this afternoon (Tuesday) and it absolutely poured down for an hour. Thunder, lightening, the works! Got home to Santa Elena expecting some flooding, but although it was wet, it had obviously missed the brunt of the storm. The rain clouds have, over the last day or two, been coming from the West, but much of it dying out before reaching Belize. Today, the Easterly Caribbean wind, was stronger and pushed against those rain clouds, causing them to rain earlier, that is nearer the Caribbean than earlier, i.e. on Belize.. . 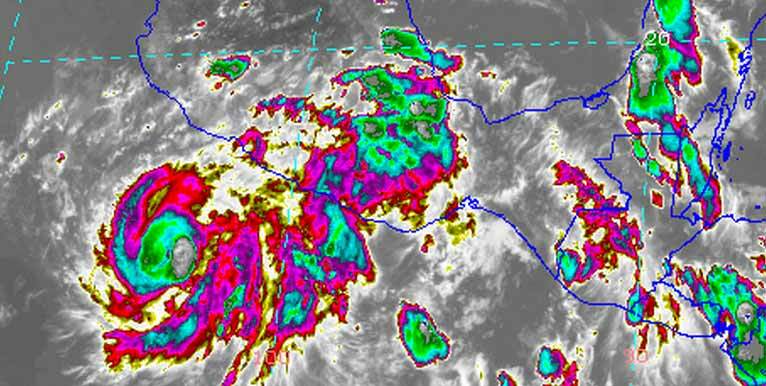 ..This has been made more significant by ITCZ activity particularly in Mexico towards Tabasco. .. But the Caribbean winds, meeting the Westerly winds, resulted in a line of high cloud and they meet and pushed upwards, in a line from PG right up into Guatamala/Mexico. A clash between two winds, which is the usual cause of Lightning/Thunder.